Entrepreneur. It’s a label for myself that I’m still getting used to. But now that I’m working on year 4 of the blog and year 3 of being a full-time copy editor and writer, I guess I should embrace that title, huh? To me, entrepreneurs have always been people with big ideas who take huge risks. And that’s not me. I also am an educational consultant and an adjunct faculty member for a graduate school program… so my mornings are super important to me. If they get off on the wrong foot or if I waste time, it means a ton of extra work for me later down the road. But still, I didn’t realize how much working mojo I’d get back when John’s schedule solidified and he started working a steady one. It makes a huge different. A huge difference. Every morning after John goes to work, I sit and write for at least an hour or try to hit 1,000 words, whatever comes first. Writing fiction, even if it never becomes anything other than files on my computer, is something that’s really important for me. It feeds my soul and makes me think creatively. While I was teaching and in the first year of our marriage, I didn’t make time for writing fiction. Now I do. And I’m a lot happier, which makes me a lot more productive throughout the rest of the day. When the day’s over, I can always feel accomplished because I’ve made sure to prioritize my writing. What’s the special project or thing that’s near and dear to your heart? It doesn’t matter if it makes you money or not. Do it first to feed your soul, otherwise you’ll never have time for it. I promise you that. 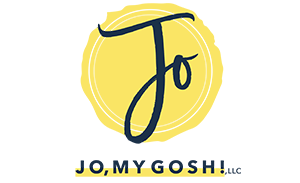 I try my best to stop working in the afternoon when John comes home, so I often have a lot of emails that I need to sift through in the morning. I always begin the work day by going through those emails, answering, and taking action for any that need that. Because I have multiple streams of income, every day’s batch of emails look different. I go through each of my email addresses methodically and write lists for anything that needs to be taken care of when I can’t do it immediately. How do you structure your morning? Any words of advice? 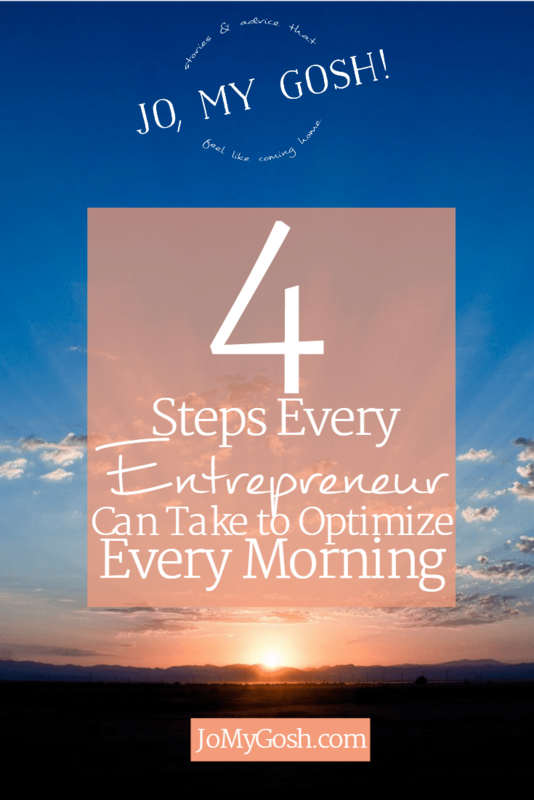 Love this post because I agree that mornings are super important. Also, have you tried Chobani’s Pumpkin yogurt for fall?! OMG girl. It’s amazing. Great advice, Jo. There’s a line in the novel “Wuthering Heights” where the housekeeper says that what doesn’t get done before ten in the morning runs the risk of not getting done all day. I think Nelly was onto something. ;-) I try to accomplish something important first thing, and that gives the rest of my day a boost!